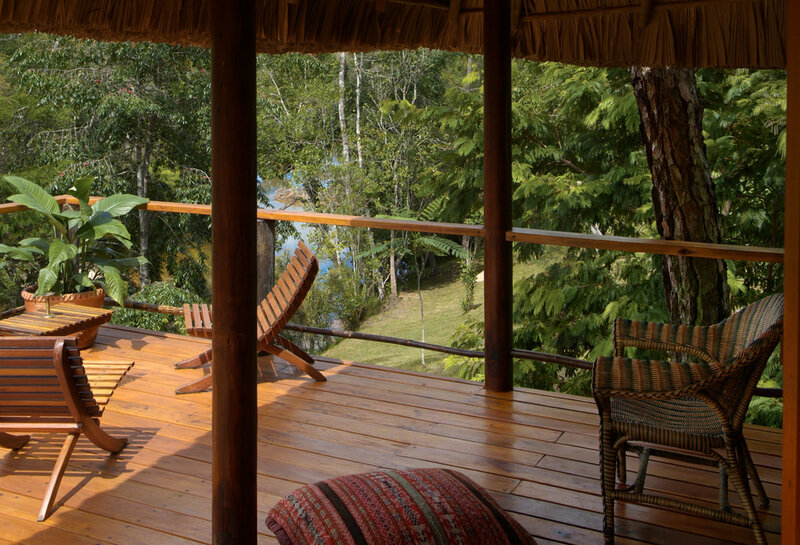 All Riverfront Cabañas at Blancaneaux Lodge feature an expansive deck ensuring a spectacular view of the Privassion River. 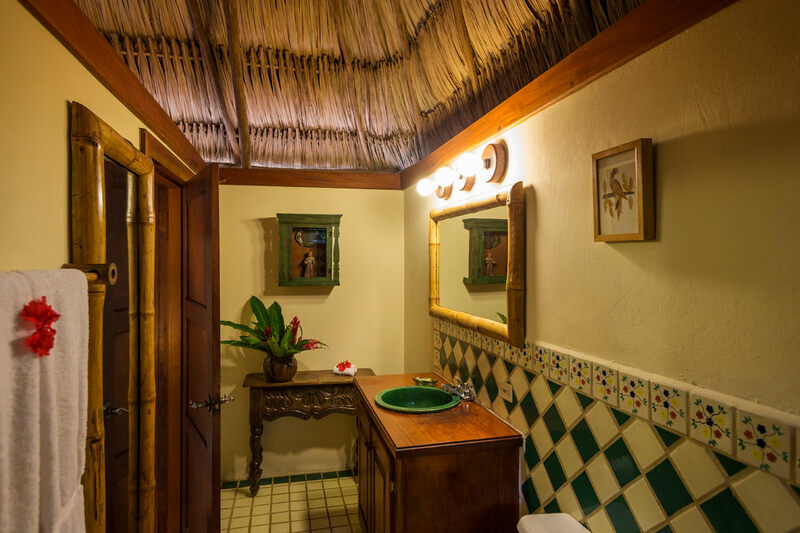 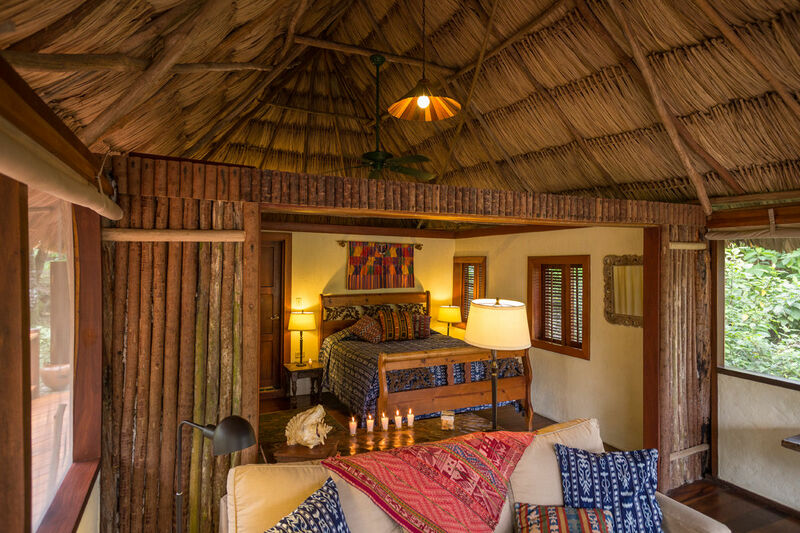 Our Belize luxury accommodations are elegantly themed with native art and local textiles, and offer a queen-size bed and hand-painted tile bathroom. 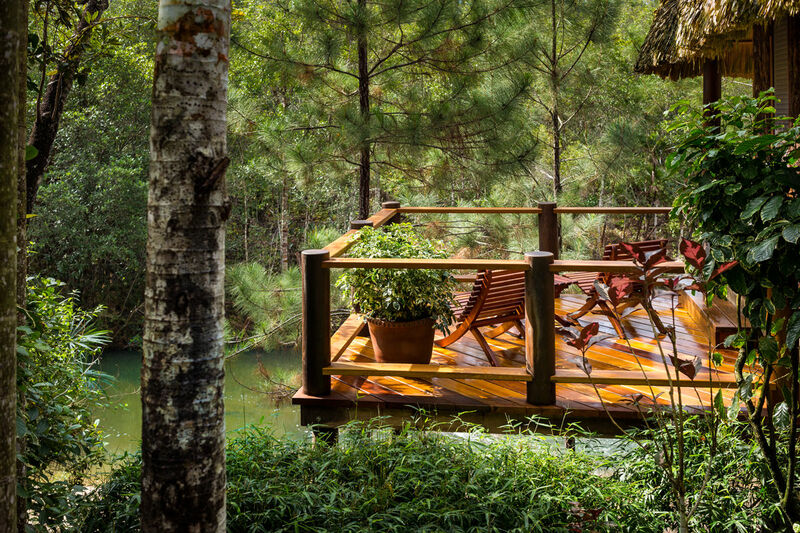 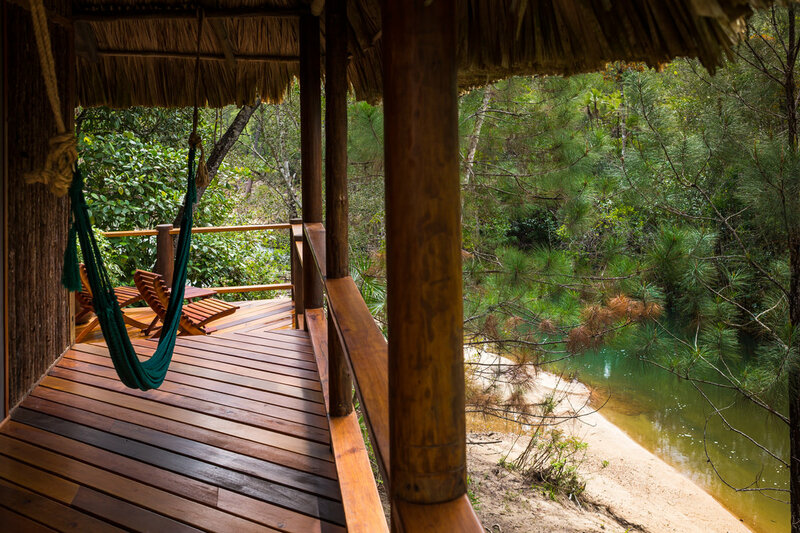 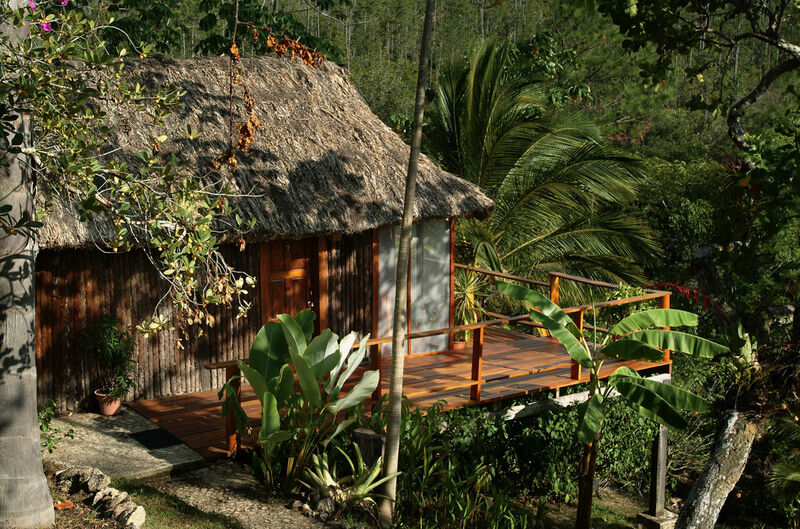 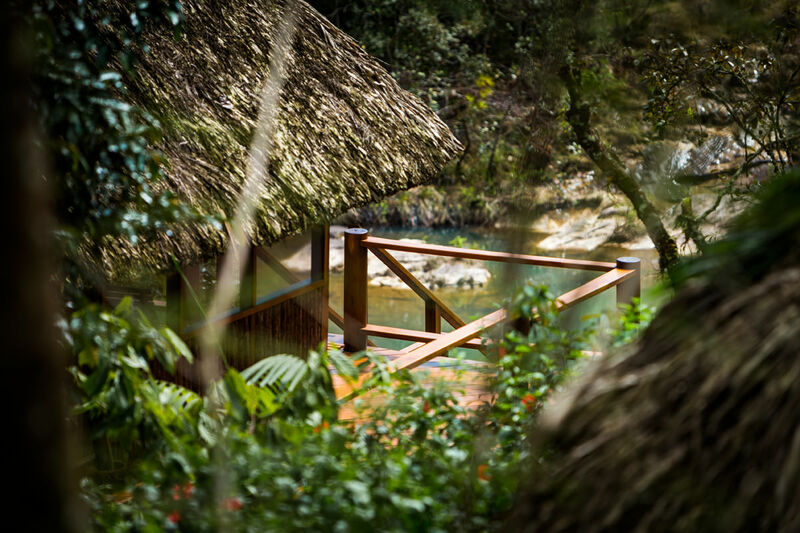 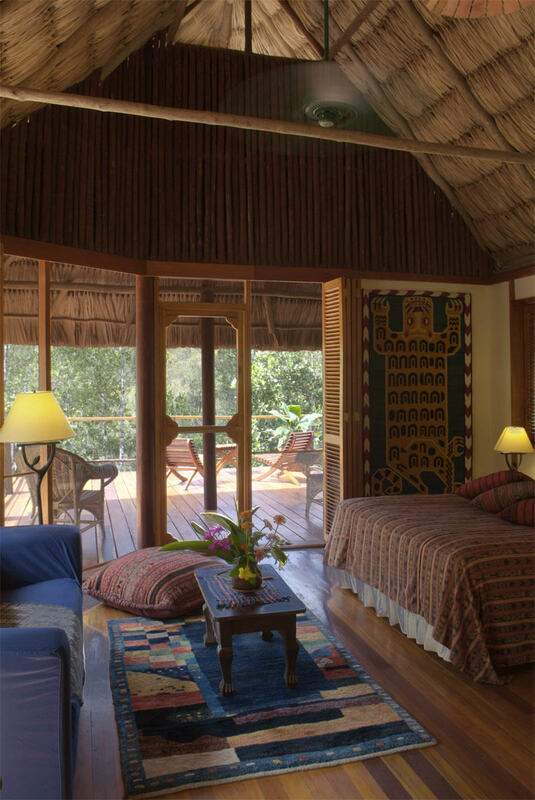 Also, be sure to check out our Garden View Cabañas to enjoy the beautiful nature and lush vegetation of Belize.